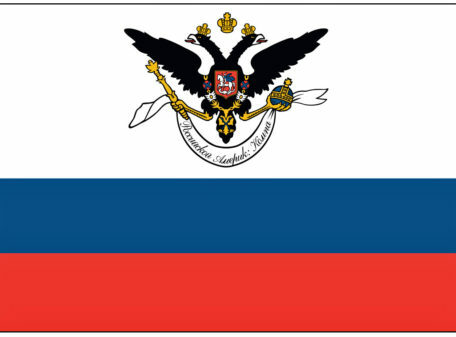 3 ft x 5 ft Russian American Company outdoor nylon flag with white canvas heading and two brass grommets. 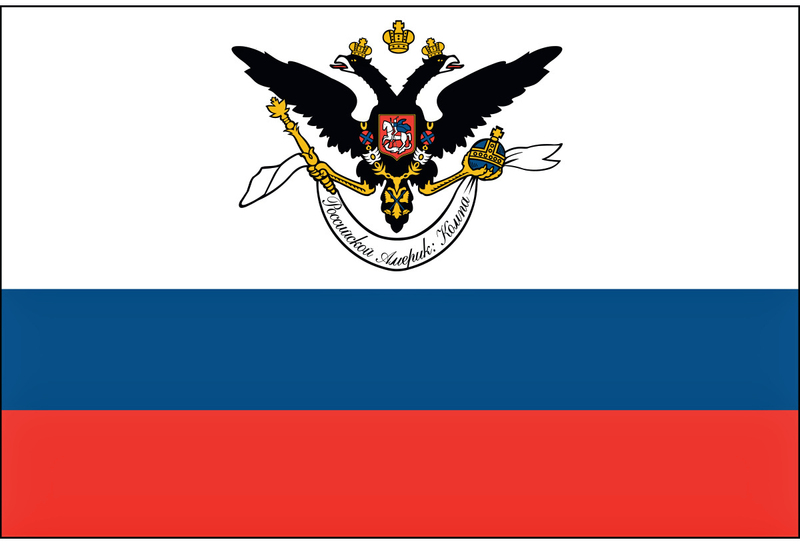 Made in the U.S.A.
Russian American Company, colonial trading company, chartered by Czar Paul I in 1799. The charter granted the merchant-dominated company monopoly trading privileges in Russian America, which included the Alaska; one third of all profits were to go to the czar. Under Aleksandr Baranov, who governed the region (1800–1818), a permanent settlement was established at Sitka and a thriving fur trade organized. The company failed, however, in its intention to create a large, settled population of Russians. The inhospitable climate, persistent shortages of food and supplies, and the unwillingness of the czar to send serfs to North America kept the colony weak and small. In the 1840s, as the profits from the fur trade began to decline, the czarist government took control of the Russian-American Company from the merchants. 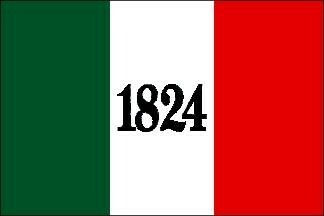 The company was officially dissolved in 1867 when Alaska was sold to the United States. 3 ft x 5 ft Bonnie Blue outdoor nylon flag with white canvas heading and two brass grommets. Made in the U.S.A.
3 ft x 5 ft Gonzales outdoor nylon flag with white canvas heading and two brass grommets. 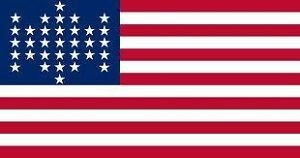 Made in the U.S.A.
3 ft x 5 ft 35-Star Custer’s Cavalry Guidon outdoor nylon flag with white canvas heading and two brass grommets. Made in the U.S.A.
3 ft x 5 ft First Confederate (Stars and Bars) flag made of 200-denier SolarMax ™ nylon with white canvas header and two brass grommets. Single / Reverse design; reads correctly on the front and in reverse on the back. Made in the U.S.A.
35-Star Civil War Union flag (1863 – 1865). Outdoor nylon flag with sewn stripes and appliqued stars with white canvas heading and tw brass grommets. Made in the USA by Eder. 3 ft x 5 ft Third Confederate outdoor nylon flag with white canvas heading and two brass grommets. Made in the U.S.A.
3′ x 5′ 33-Star Ft. Sumpter U.S.flag. Variation fron the official 33-star flag. Digitally printed outdoor nylon flag with white canvas heading and two brass grommets. 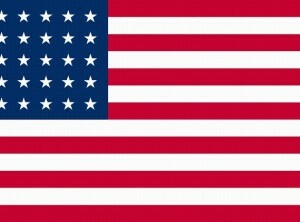 Made in the U.S.A.
3 ft x 5 ft Alamo outdoor nylon flag with white canvas heading and two brass grommets. Made in the U.S.A.